Mr. July brings the spark to your sparklers! We are delighted to introduce you to Joel Frederick from Eagle River Fire Protection District, he will melt your hearts like a popsicle on the 4th of July. Joel started his career in academy with Eagle River Fire in April 2010. He had no prior experience in the field and it was the most challenging and exciting 15 weeks of his life! We asked Joel, what made him become a Firefighter? Well, it was not his first choice, he studied and received a bachelors in both criminal justice and psychology. After graduation and interviewing for positions within his degree, he soon realized that this wasn’t going to be a good fit for him. In some way or another he made his way into a firehouse, where he started asking questions. Joel states, “the crew that day was so welcoming and even invited me to stay for dinner! After watching them interact and seeing how passionate they were about their jobs and each other, I knew at that moment, firefighting was 100% the job for me.” It took Joel 5 years of testing across the country, but he is now a firefighter that loves what he does, who he serves, and the people he works with. Joel serves on a mountain department, which is very different than in an urban city department. How is that you ask? Joel explains, “Being a firefighter in the mountains can be challenging at times. The steep topography and harsh conditions can result in difficult scenarios. We can see anything from technical rope, ice, and swift water res-cues. But there still is an occasional cat out of a tree call, too.” Joel’s favorite part of his job is the variety and the unknown on calls that may come in. 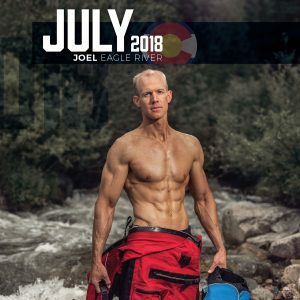 Joel’s favorite part of being in the calendar was attending the burn camp in Estes Park and participating in the Juvenile Fire Setting Program. He does admit he also had quite a bit of fun at the Try Outs and the Calendar Release Party. How does Joel keep in shape? Being physically fit and eating healthy has always been very important to him. He has been using P90x for the longest time. His fellow firefighters make fun of how long he’s been listening to Tony Horton videos and doing his corky workout routines! Please help us continue to improve the lives of burn-injured children with a tax deductible donation. Net proceeds benefit the Children's Hospital Colorado Burn Center and Burn Camps Program. 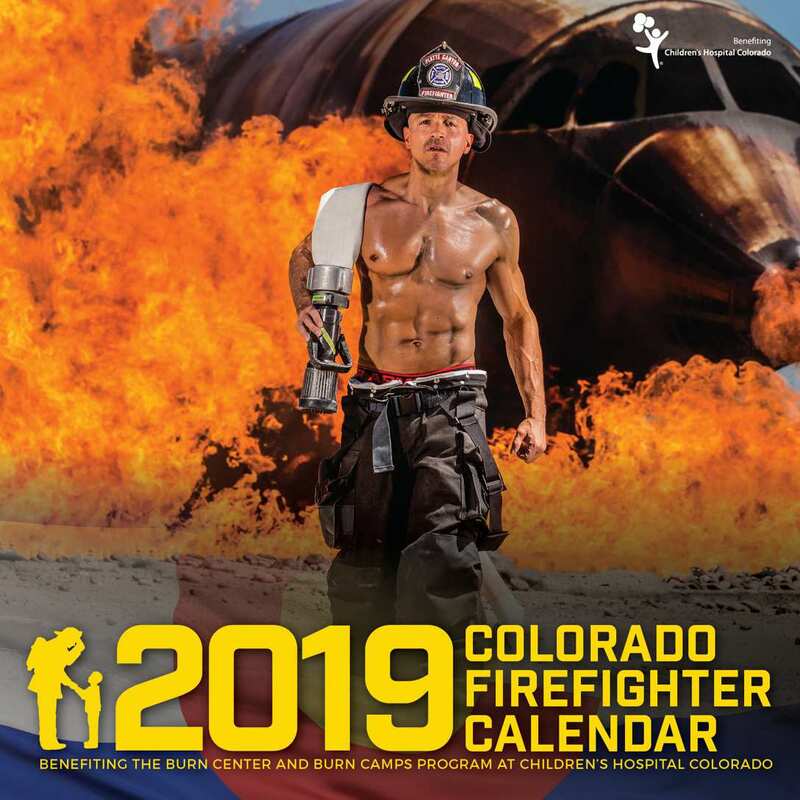 THE COLORADO FIREFIGHTER CALENDAR IS A GROUP EFFORT AND WITH OUT THE HELP AND SUPPORT OF HUNDREDS OF GREAT PEOPLE IT WOULD NOT BE POSSIBLE.